I love crafting with Duck or Duct Tape. I was in my local craft store at the weekend and spotted some really pretty colours, and on mini rolls too. My 4 year old really likes the Galaxy Duck Tape so we made bracelets together. They are so simple but kept him amused for a good half hour. 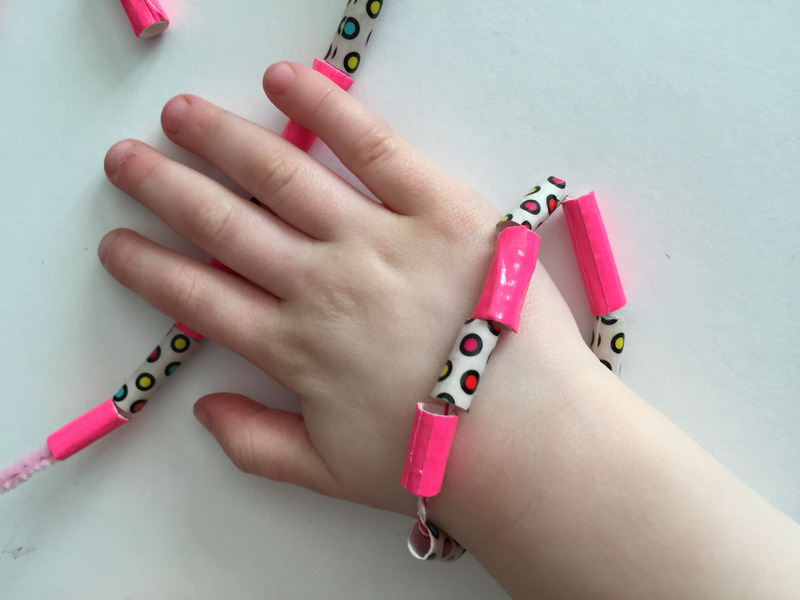 Then my 3 year old discovered what we were doing and we made some in her favourite colours too! 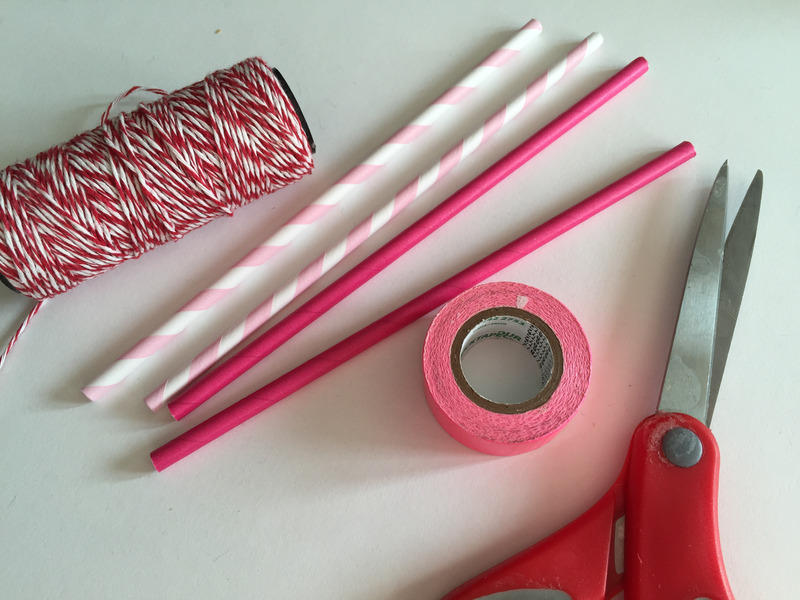 Cover the paper straw with Duck Tape, we found it easier to pull a length of Duck Tape, lay the straw on it and roll it until it was covered worked fine. Use a sharp knife to cut the straw into pieces about an inch long. 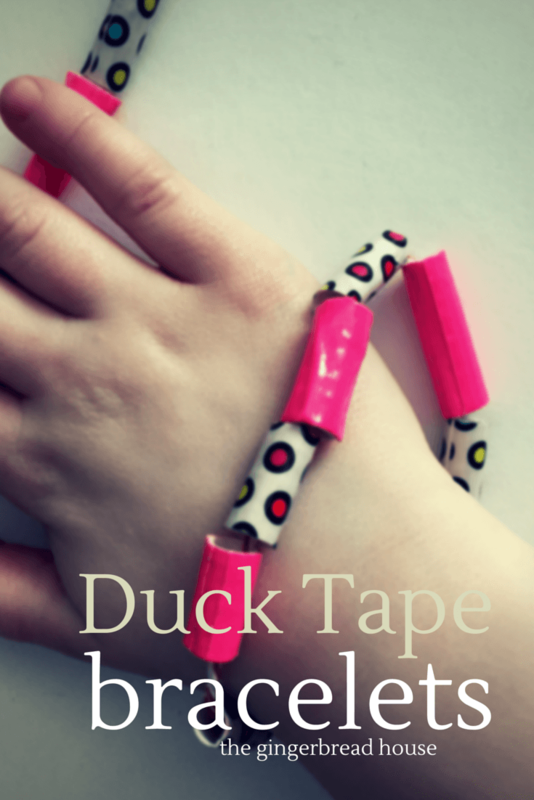 Thread the pieces of Duck Tape through a pipe cleaner, piece of elastic or thread and tie the two ends together. I love crafting with Duck Tape, especially as there are so many colours available. Although this is a craft my 3 and 4 year olds enjoyed I think it would work for older children too. 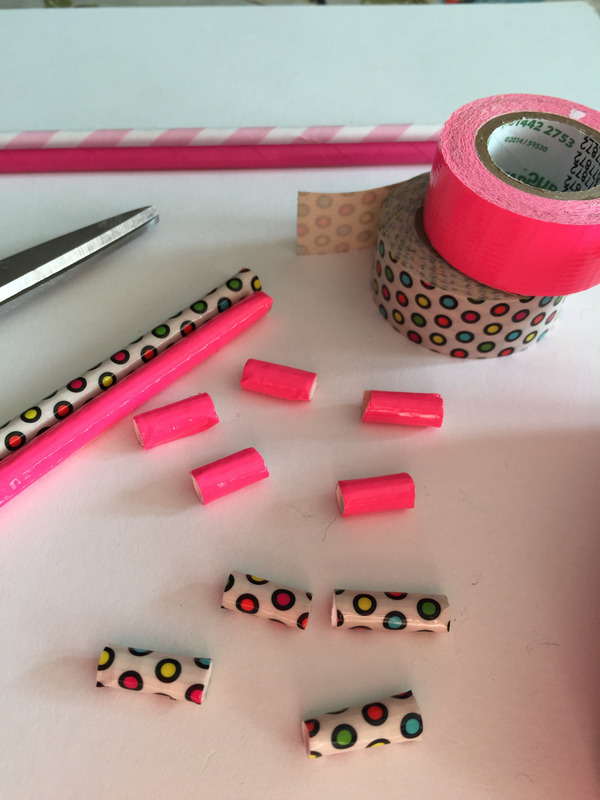 Just let them wrap lots of straws in Duck Tape and experiment with the different prints and patterns, you can really personalise them according to taste! Indoor Activities for Tweens from What Do We Do All Day? Looks like a great way to make a personal fashion statement!